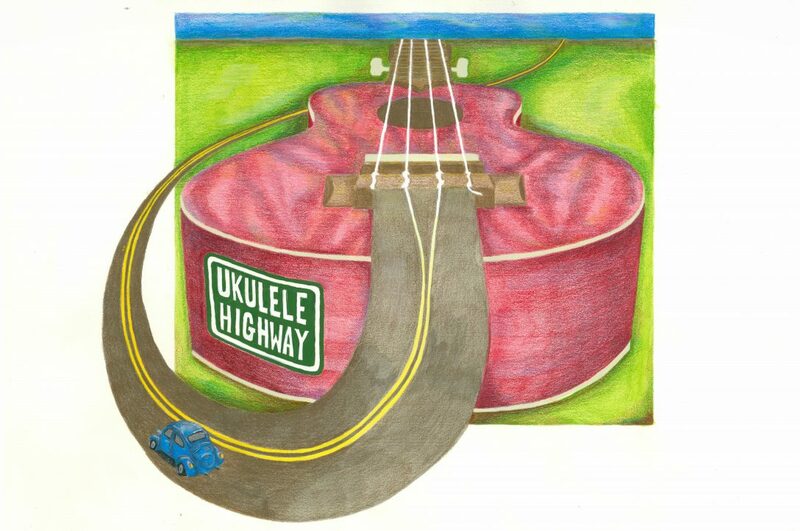 Join the Ukulele Highway podcast on a journey stopping at all ukulele destinations. I wanted to learn an instrument and sing. Once upon a time I bought myself a guitar. I hid out practising and learnt lots of bad playing habits. Discouraged and riddled with self-doubt, it went under under the bed. But I never lost the desire to play an instrument and to sing, even as the years passed. Just wasn’t sure I could. On the road to learning podcasting we are encouraged to think about our favourite podcasts and what we enjoy about them. Here are my favourite four ukulele podcasts…. I’ve set off on this journey and have a long road ahead. I’m full of hopes and dreams about the future of this podcast. Hello from budding host of the Ukulele Highway podcast! I’ve started on a journey to learn how to podcast. My plan is that by the end of September the very first episode of the Ukulele Highway podcast will be available for you to hear.